Kunstquartier Bethanien, Berlin Liz Pelly’s reporting and criticism largely considers the way music is being reshaped by the platform economy. For The Baffler, Frieze, Watt, and other outlets, she’s unpacked the ways music streaming’s data-driven environment is setting new norms across every aspect of music, from how music is distributed and discovered, to how mood and affect centered playlists are shaping the sound of pop. Some of her other subjects have included: the rise of lean-back listening on playlist-first platforms; the exploitative nature of advertising products and brand partnerships on Spotify, specifically its use of corporate-branded playlists; the ways algorithmic discovery reinforces gender bias; and the rise of false independence in the streaming era and what it means for independent artists and labels. 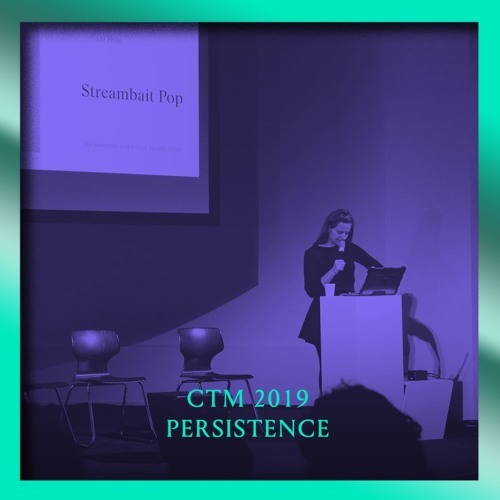 At CTM, she delivered an overview of the central points raised by her writing, some takeaways that have emerged from further reflection on these ideas, and the greater implications they have for independent artists.